Social Studies differentiated instruction is creatively displayed in the Geographic Factors Influenced European Exploration and Settlement of the Americas lesson plan at http://www.teacherspayteachers.com/Store/Kasha-Mastrodomenico. It uses the Multiple Intelligence Theory and ability levels to differentiate instruction. 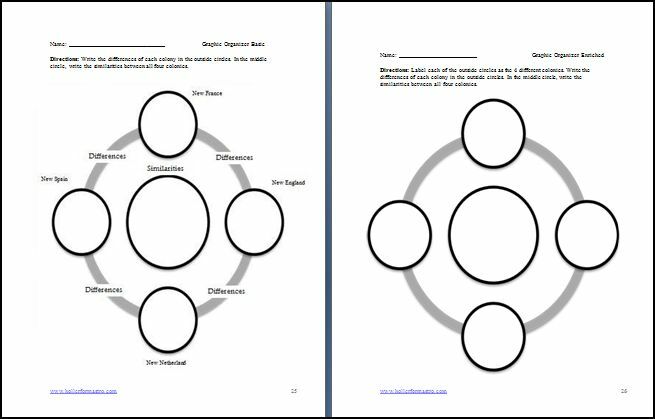 To differentiate instruction for vocabulary, there are three vocabulary ability level worksheets. They all give the option to either use the linguistic Multiple Intelligence or the Spatial Multiple Intelligence in the right hand column. The enriched version of the vocabulary sheet allows students to write the definitions using their own words. The average leveled sheet allows students to fill in the blanks of the definitions. 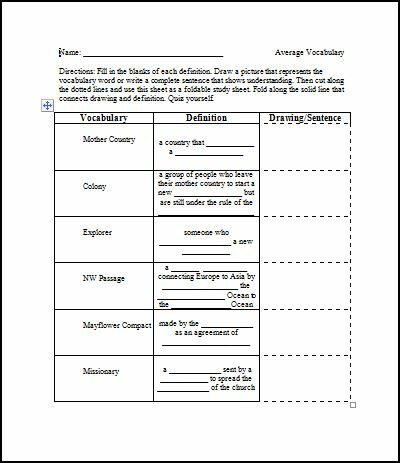 The basic leveled sheet allows the students to take the time they need to read the definition and then fill in the right hand column just like the other levels. The Geographic Factors Influenced European Exploration and Settlement in the Americas lesson plan continues to differentiate instruction by providing two levels of note taking sheets for students. The enriched version allows for more critical thinking by allowing them to choose what they include in their notes and how they state it while following the PowerPoint. The basic note sheet is more guided and allows them to fill in the blanks as they go through the PowerPoint. The reason for this is to allow the students to listen to the content and then while the other students are writing in their notes, these students, who need to have repetition, can use partner review or ask questions for clarification. The pictures and links in the PowerPoint also bring in the Spatial Multiple Intelligence. The activity section of the Geographic Factors Influenced European Exploration and Settlement of the Americas lesson plan offers two options for students to choose from which should increase their interest. 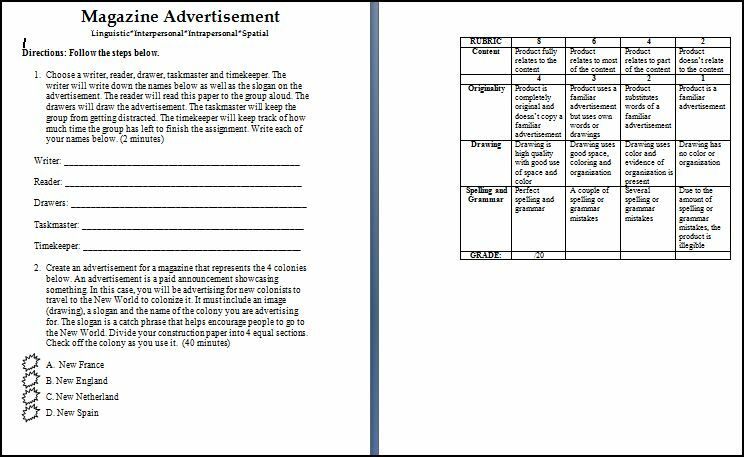 The first option is a Magazine Advertisement Activity with a focus on the linguistic and spatial Multiple Intelligences. The second option is a Talk Show Activity which focuses on the linguistic and kinesthetic Multiple Intelligences. The students also have an option of working with either a partner or by themselves which brings in the interpersonal or intrapersonal Multiple Intelligence. There is an activity choice sheet that should be filled out by the students the day before the activity is to be started. This helps the teacher know how many copies of each activity will be needed and allows enough time to group appropriately. Each of these activities comes with a rubric too! There are two versions of the graphic organizers. One is for students who need more direction and the other is an enriched version. For more information on the Geographic Factors of European Exploration of the Americas Lesson Plan follow the links below. 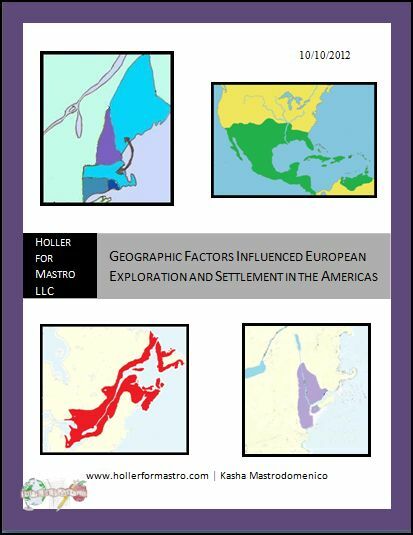 Where can I find the Geographic Factors Influenced European Exploration and Settlement differentiated instruction lesson plan? This entry was posted in Differentiated Instruction, Differentiated Instruction Lesson Plans, Exploration, New York State Social Studies, Social Studies Differentiated Instruction, Social Studies Differentiated Instruction Lesson Plans and tagged differentiated instruction, differentiated instruction lesson, Geographic Factors Influenced European Exploration and Settlement in America, Geographic Factors Influenced European Exploration and Settlement in America differentiated instruction lesson plan, Geographic Factors Influenced European Exploration and Settlement in America lesson plan, social studies differentiated instruction, social studies differentiated instruction lesson plans on March 14, 2013 by Kasha Mastrodomenico.